The global financial and economic crisis, its aftermath and the crisis of the European Union are unique challenges for the transatlantic partners. We contribute to a political dialogue on economic and labor relations with a special focus on economic opportunity, inequality, labor relations and trade on both sides of the Atlantic. We actively engage with policy makers, economists and unions from Europe, the United States and Canada to promote progressive economic ideas, just jobs, social justice and the democratization of the workplace. We also advance a fair trade agenda that expands opportunities for all with programs on the Transatlantic Trade and Investment Partnership (TTIP) and the Canada-European Comprehensive Economic and Trade Agreement (CETA). 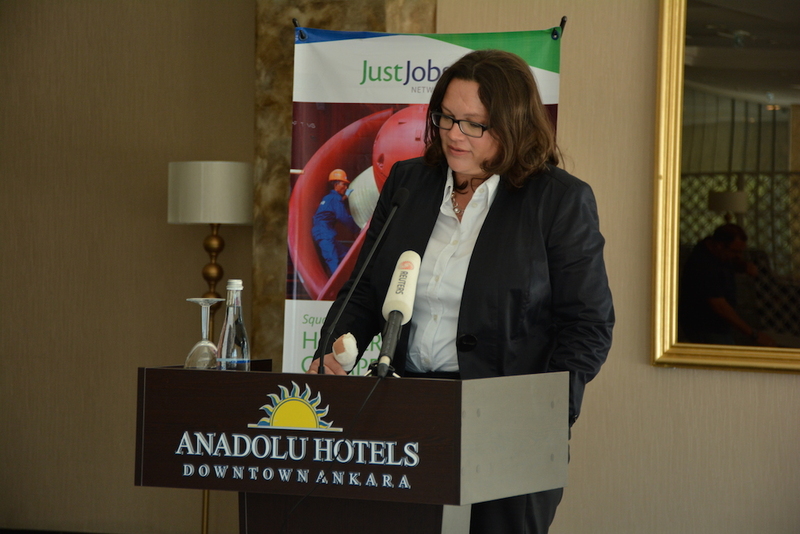 The JustJobs Network (JJN) - which the FES office in Washington, DC is part of - is a diverse global network of research and advocacy organizations focused on labor and employment issues. The JJN was founded within the Center for American Progress and became an independent organization in 2013, with a dual presence in Washington, DC and New Delhi.